The long awaited Bob Jones trail Environmental Impact Review (EIR) has finally been released! Learn more about the details of the future of this important portion of the Bob Jones trail at this upcoming public meeting, or read the EIR online here. This 4.5 mile segment connects the Octagon Barn to the existing Bob Jones parking lot on Ontario Road. 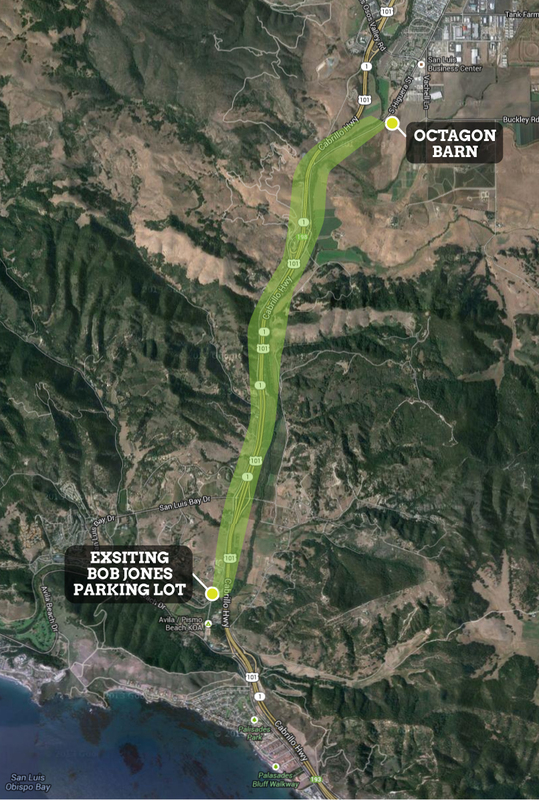 The project includes improvements to a staging area at the Octagon Barn parking lot, construction of four bridges, and crossings along South Higuera St.